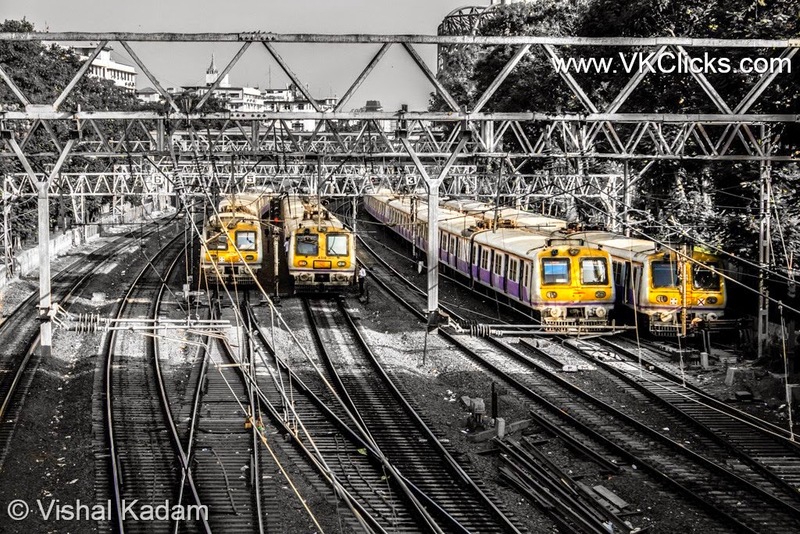 Vkclicks: Mumbai Local Trains – "The lifeline of Mumbai"
Mumbai Local Trains – "The lifeline of Mumbai"
In my engineering days, I used to travel daily in Mumbai local trains, that’s why when I imagine the word Local Train only one picture came in my mind, crowd is pushing, shoving, and twisting me. But if you have not traveled in a Mumbai local trains, then you have not visited Mumbai, and you are not a true Mumbaikar. It requires deadly skill and technique to get in and out from the Mumbai Local Trains. You have to just stand in crowd and crowd will automatically get you in the train. Mumbai Local trains are the best way to travel in Mumbai. Due to heavy traffic jams on roads, Trains are the fastest way to reach to your destination. It is the best transport of million Mumbaikar's that’s why local trains called as a Lifeline of Mumbai. Mumbaikar's criticize the Local trains and its crowds but deep inside from heart every Mumbaikar shares a special bond with the Local trains.